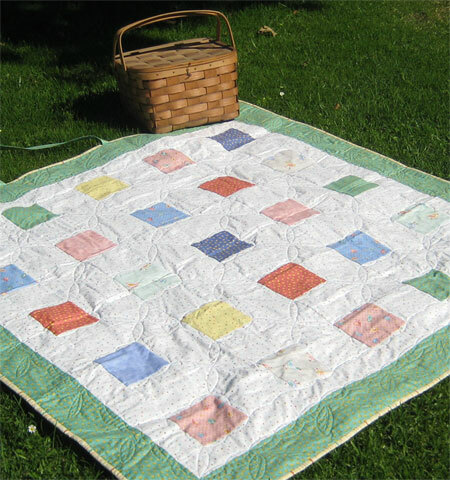 Susan's Picnic Quilt Pattern makes a great blanket for any picnic or beach day. It has handles and ties so that it can be folded up and carried. I like to keep mine in the trunk of my car, because you never know when you will need a blanket!Finished quilt is 56" x 56". Shown here using Susan's "Spring Chicken" fabrics.